Having an organized entryway is the first step to feeling calm and organized at home. We’re here to help make sure that coming home is always a welcoming, relaxing experience. 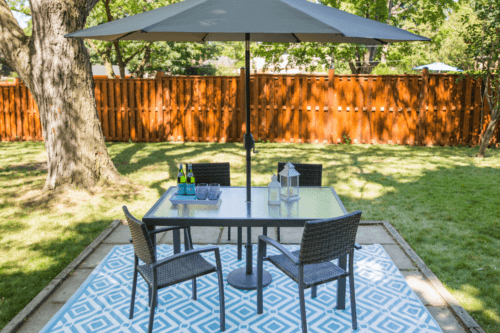 It can be tough to stop your kids or dog or shopping bags from occasionally taking over, but we’ve got some easy ways to make it happen. 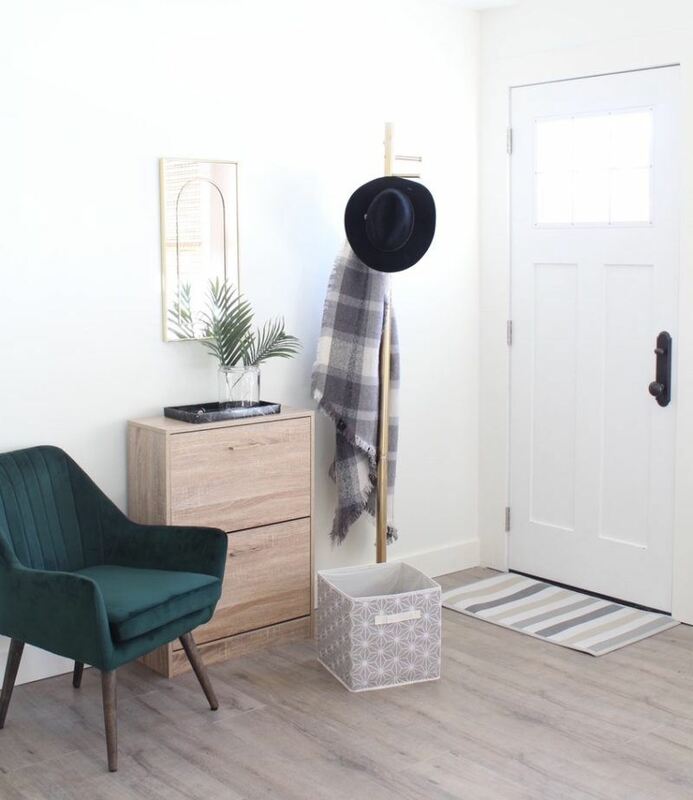 Here’s why you’ll love taking the time to set your entryway up for success all year long. Everything from heavy winter coats to umbrellas and scarves are easily solved by having the right hooks and baskets in place. Best part of all? They are ridiculously easy to install. Place bins neatly under the bench as shown above, or use the space above your closet to tuck away mittens, hats and any other seasonal essentials. When there’s a place for everything, as the saying (kinda) goes, everything else false into place. No wasting time arguing looking for sports gear, pet equipment or anything else. Flexible storage options like lightweight cabinets are your best friend for this one, as you or your little ones can stow away things you use regularly, while cutting down on clutter at the same time. Once your entryway is organized, everything that crosses it will last so much longer. By adding in door mats and shoe cabinets to keep shoes tucked away, you’ll not only have a much clearer path to enter your home, your floors and shoes will stay protected. With simple additions like a coat rack or a bench, you can get where you need to go much more efficiently. You’ll always know exactly where everything is, and you have a place to put your shoes on easily or rest bags and groceries when you come home. Having hooks and mail organizers right by your door are an excellent entryway hack to bring to your home. You can designate areas for different household members’ items to make sure everyone’s on top of their daily responsibilities, whether it’s homework to do, dogs to walk or a place to store your phone or tablet. 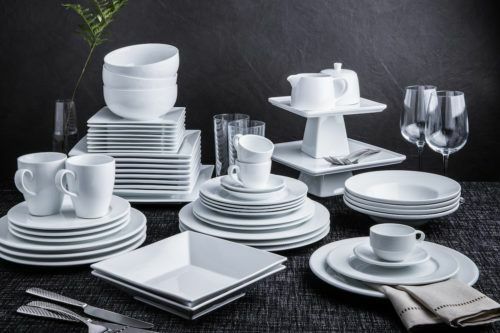 Find something to suit your space that you love showing off, instead of hiding it. 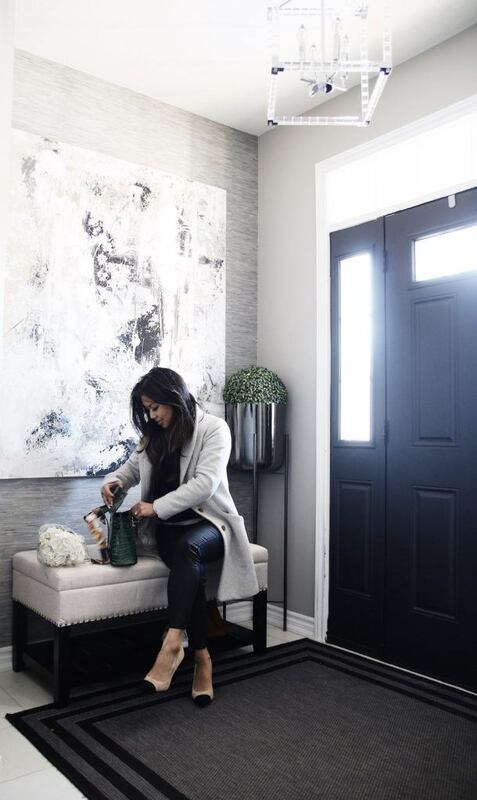 Whether you want to hang artwork, layer your entryway carpets as shown by Jocelyn from @heartsandkrafts or choose a style aesthetic, it’s so much easier when everything is cleared away and in its proper place. Finally, a welcome that feels like you. When your entryway suits you or your family best makes walking through the door feel like a success, every day. Inspired to organize your entryway? Get started on your entryway during our Organization Sale. 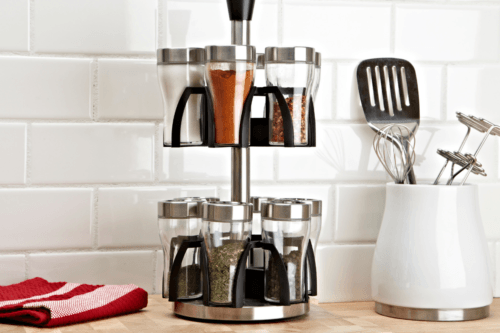 You’ll find great deals on everything you need to make your home more functional. 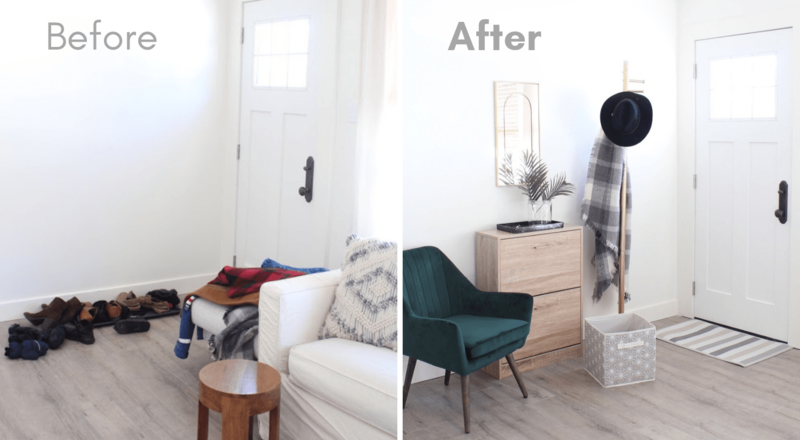 You can also get some real-life advice from lifestyle blogger Andrea @HarlowAndThistle with the Before & After she hosted on our Instagram – check it out here at @KSPStuff.